Stellar is a decentralized protocol which provides users with the ability to send money anywhere around the globe instantaneously and with negligible costs. So, what exactly is Stellar? Furthermore, it is a non-profit organization, its main aim being the expansion of financial access to everyone, especially individuals in parts of the globe who do not enjoy the benefits of basic financial institutions such as banks. Stellar was developed in 2014 as the idea of Jed McCaleb, one of the co-founders of Ripple, working together with Joyce Kim. Since McCaleb had irreconcilable differences with the Ripple board, Stellar has several key alterations compared to it. Stellar intends to assist in transactions between people, while Ripple seeks to do so for banks. 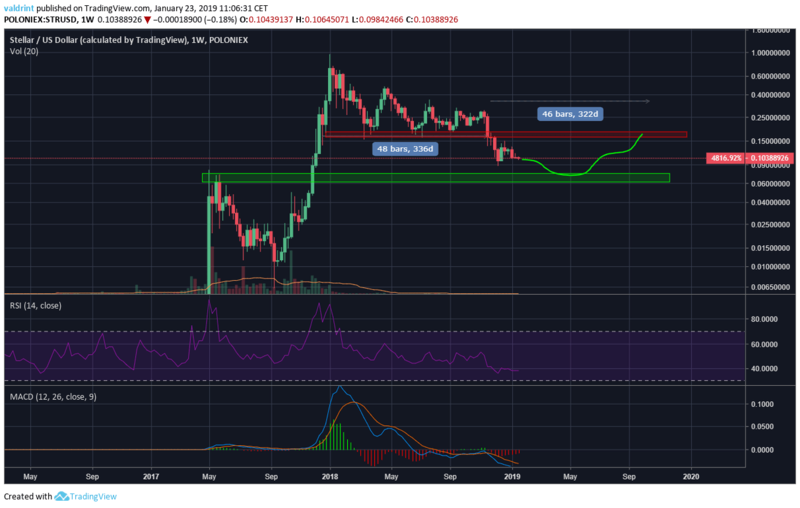 Also, stellar has more of a bottom-up approach while Ripple has a top-down approach. The currency used by the network is Stellar Lumens (XLM), 100 billion of which were created at launch. As an original resolution, Stellar used Facebook for the authentication of users and gave early adopters 5000 XLM as a start. A transaction costs only 0.0001XLM, taking less than 6 seconds to complete. The total supply grows by 1% each year, making it an inflationary currency. What Is Stellar and What Is Its Objective? Stellar is a platform that intends to assist in cross-border transactions by resolving relevant concerns including but not limited to slow transaction times and high transaction fees. The network also has a built-in currency (XLM), which has value, yet its primary function is to act as a mediator currency and provide conversion between other currencies. A helpful way of understanding the network would be to think of it as a PayPal which functions on the Blockchain. In order to use Stellar, it is first required to deposit currency in an anchor, which is a trusted intermediary. Stellar is a nonprofit network and the founders continuously emphasize that the primary goal is to enable individuals with restricted access to financial institutions or inadequate financial literacy the opportunity to possess the benefits of said financial institutions. While Stellar can provide many functions, its main one is the creation of a worldwide network which enables anyone to send any type of currency and have it arrive as another type of currency. For example, you can send Ethereum and have it arrive as euros. You can send dollars and have it arrive as Bitcoin. It aims to support all type of transactions, from merchant payments to remittances. Stellar users hold their account balance in a gateway, a trusted network participant which you trust to accept your deposit, in exchange for network credit. What Are the Benefits of Stellar? Stellar aims to be a platform which provides access to financial services to everyone all over the world, including services for the underbanked. The main benefits of stellar come from its low transaction costs, almost instantaneous transaction speed for cross border transfers and high security. Furthermore, Stellar is not centralized and is a non-profit company with altruistic instead of profit-making goals. Is Stellar a Ripple Fork? Stellar’s native currency Lumens (XLM) is not a fork of Ripple’s XRP, even though they share similarities, mainly deriving from the fact that they use a consensus protocol instead of the usual proof-of-work mining system used by most cryptocurrencies. However, even the consensus protocol is not identical. While Ripple relies on voting (every transaction has to be verified by more than 80% of nodes) to enter the ledger, Stellar operates differently, quickly allowing nodes to become validators. Furthermore, differences lie in their target base, since Ripple mainly targets financial institutions and banks, while Stellar targets the everyday individuals, focusing mostly on microtransactions. Furthermore, Stellar is a non-profit company, meaning there are no shareholders or dividends, just salaries, and expenses. Its motto is to provide cheap and fast transactions for people all over the world. 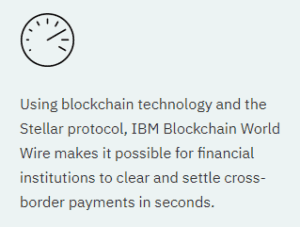 One of the main use cases currently for Stellar is in settling cross-border transactions for financial institutions, in partnership with IBM. The Stellar / IBM platform which utilizes Lumens (XLM) currently only involves British pounds and Fijian dollars, yet it is designed to be expanded so it is able to handle seven fiat currencies. Furthermore, Coins.ph – a mobile payments startup which handles the Southeast Asia market, allows individuals to convey remittances to the Philippines over the Stellar network, for almost free. Additionally, Stellar is used by Flutterwave, a mobile payments firm based in Africa, in order to assist in money transfers between Kenya, Ghana, and Nigeria. ICICI Bank, the largest private sector bank in India is also integrating with the Stellar network, for the purpose of supporting money transfers within India and internationally. ICICI bank is also launching a mobile wallet app with a Stellar backend for office and university campuses. 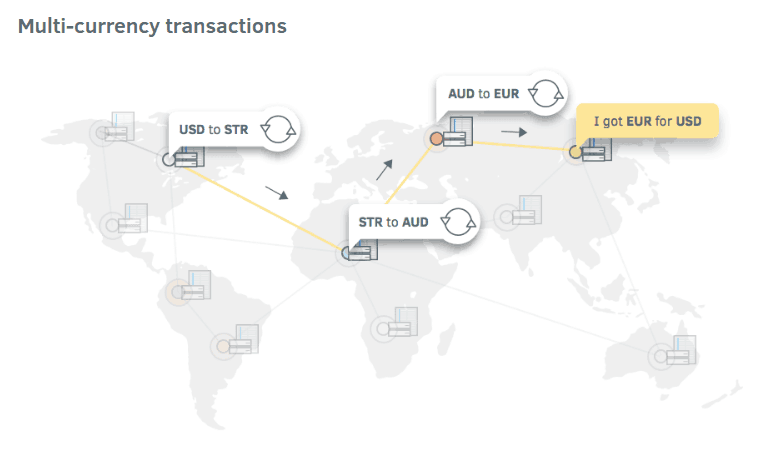 Stellar also has a working relationship with a French remittance company, Tempo Money, which allows individuals to send and receive remittances from Europe through Banks which are connected to the Network. Before it is possible to interact with the network, the creation of an account is required. Every account is equipped with a public key, and cryptography is used to confirm the security of the transactions. To illustrate with an example, let’s say we are interested in trading USD for Euro, and there is no available pair. The network will trade USD for XLM, then make the XLM for Euro exchange. In cases which none of the pairs are liquid, the network will take another path. For illustration, the path could look like this: USD for ETH, ETH for XLM and XLM for EUR. Thus, the network will always find the least costly and fastest path to deliver the funds. Stellar is constructed upon the idea of gateways, which are entities that allow people in and out of the network. In order to use the network, trust in the gateways you use is required rather than trust in other members in the network. This concept is comparable to having trust in your bank to safeguard your deposit. In the network, you choose the trust level assigned to a gateway, by setting appropriate policies and putting deposit limits on a gateway. Currency balances are represented as credits from the gateway. So, if a user deposits 100 euros into a gateway, it would issue XLM credit equivalent to 100 euro. This credit issuance will only be successful if the user has trusted the gateway for 100 euros or more. In cases of cashing out, the credits are returned to the gateway, who in turn sends you your currency of choice. Since it’s a distributed and open network, anyone is able to start their own gateway and to take their pick of gateways to trust. An API is merely a combination of tools and building blocks which assist in the creation of software applications. The Stellar network consists of servers which run the Stellar Core software and are maintained by various entities and individuals. The core preserves a copy of the ledger and stays in sync with the other occurrences of the Stellar Core on the network. In order to validate transactions, Stellar utilizes a consensus protocol, which is referred to as a ‘federated byzantine agreement’. It functions on the idea of an open membership system; meaning any user can take the function of a validation node and is free to follow any other nodes, not relying on a central authority recommendation. This, in turn, makes the network very decentralized. As of right now, there are more than 140 active nodes working in the network. A low participation number is a common occurrence since there are no incentives for nodes to maintain the blockchain. In Stellar, the validators receive no rewards, rather maintain the network on free will. In more detail, the network utilizes its own ledger, maintained by consensus instead of mining. Every node is in communication with a set of others, in trust that they will not collude together to produce the same malevolent result. Then, an iterative process allows for consensus to be reached, resulting in an updated ledger every few seconds. Furthermore, transactions settle almost instantly, with no mining being required. What Are Lumens (XLM) and What Are They Used For? Lumens (XLM) is the native token used in the Stellar Network. One of its functions is as a mediator currency for multi-currency transactions in cases when a large direct market for currency pairs does not exist. It is extremely versatile, making it appropriate for different types of transactions. It works great in assisting with micro-payments, can handle remittances without the issues of forex exchange, and settle payments almost instantly. It is possible to think of XLM as Bitcoin’s faster counterpart, who is more scalable and does not require mining. It is tradable anywhere in the world in less than 5 seconds, making it suitable for cross-border transactions. This is true especially if your aim is to conduct transactions in parts of the world with are abject of banks and financial institutions. When sending money abroad, unlike most companies such as Western Union, fees are a negligible issue with XLM. Transaction costs are close to 0.0001 XLM, which is less than $0.01. There is also another reason for the Stellar network to have its own token. The token acts as a tool which prevents spam on the network. Since each transaction has a fee (paid in XLM), this acts as a failsafe to prevent users from performing an attack on the platform, such as a Denial-Of-Service (DoS) attack, in order to flood out the network. Consequently, XLM acts as a security feature which stops these attacks from happening. XLM is able to effectively process 1,000 transactions per second at less than a penny each. As stated above, this fee is in place to prevent the network from undergoing attacks. Stellar’s consensus protocol allows payments to be made quickly and securely with anyone anywhere in the world. This has enabled a number of business solutions powered with Stellar. In the Mobile Money sector: Parkway Projects (financial technology developer in Africa) uses Stellar in order to connect Nigeria’s five biggest telecom companies, allowing customers which possess different services that deal with mobile money to send and receive money with one another. For Microtransactions: Deloitte – one of the largest financial consulting firms in the world, uses the stellar network for a prototype which reduces the costs of transactions by 40%. The prototype resolved in an average transaction time of 5 seconds and is intended for use with clients residing outside of the United States. For Money Transfer (Remittances): Tempo enables money transfers from Europe to the rest of the world, which is a $150 billion market. With the Stellar Network, Tempo is able to power 600,000 transactions for $0.01 in fees. Tempo’s cross-border payments enable people to pay remotely for services like phone, water, electricity, and health insurance. What sets Stellar apart from other cryptocurrencies which conduct fast transactions, amongst others, are partner organizations called “Anchors.” They are trustworthy entities which deliver credit lines to people, using assets such as euros or dollars. Let’s illustrate this with an example. Let’s say you live in the United Kingdom, and have a friend in Spain who needs €100. You can use the Stellar network by paying the equivalent amount in pounds to an Anchor, who in turn would update the balance on the ledger that would be used by an anchor in France to deliver the euros to your friend. If the transaction is settled in XLM, the entirety of the transaction would cost less than $0.01. Furthermore, Stellar continuously keeps generating more XLM, effectively making it an “inflationary currency.” The motivation behind this idea was that people will be incentivized to spend it, rather than hoarding it as a store of value. Finally, the project gives extra currency to entities that send and receive XLM, a concept which will allow individuals to regard it as a currency, instead of only as an investment. Furthermore, the Stellar team occasionally release free tokens to the public, in order to include more individuals in the digital economy. Thus, it is apparent that Stellar is quite dissimilar to other cryptocurrencies, and has a motive that is altruistic rather than profit-driven. At the creation of the Stellar Network, 100 billion lumens (XLM) were generated as it was stated in the protocol. From the total, 5% were used for the funding of operations, while the SDF (Stellar Development Foundation) was entrusted with distributing the remaining 95% for free. 50% allocated for distribution through the Direct Sign-up Program. 25% allocated for distribution through the Partnership Program. 20% allocated for distribution through the Bitcoin Program. As stated in the beginning, 5% were held to fund operational costs. In contrast with other cryptocurrencies, the XLM team intermittently releases tokens to the general public at no cost. One of their major goals as a non-profit institution is to assist in the inclusion of more individuals in low-cost financial services. These giveaways attract more individuals to the network and encourage companies to make their own designs for the services they require. Therefore, the Stellar network enables people to use blockchain to create solutions to their problems. The higher the number of users in the Stellar Network, the better the experience will be. Even though it is possible to get XLM for free, people will still pay to get it, in case they missed out on a giveaway, or in order to support the project. Within the next ten years, once the entire supply of XLM will be distributed, people will have to buy XLM in exchanges or elsewhere. The common method of buying Lumens (XLM) from an exchange that has XLM listed. How Much Do Lumens (XLM) Cost? At the time of writing, XLM costs $0.0869 USD, 0.11 CAD, 0.076 EUR, and 0.065 GBP. However, the price of XLM like with all cryptocurrencies (except stablecoins) changes on a daily basis. Which Wallets Support Lumens (XLM)? Firstly, a Stellar Lumens (XLM) wallet requires a minimum of 1 XLM to be held in it at all times. The Ledger Nano S is currently the leading hardware wallet which supports XLM storage, and is also the safest storage option. 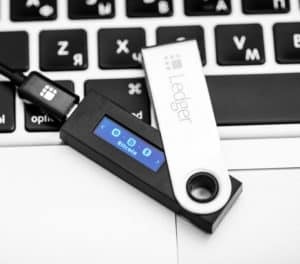 Our guide on storing cryptocurrencies securely on a Ledger Nano can be found here. Another popular hardware wallet option would be Trezor. Other options include the Foxlet wallet, which is a desktop wallet used for XLM storage. However, it does not support other cryptocurrencies. Another user-friendly wallet is the Atomic Wallet, which can store 300 different types of tokens and coins. There are different predictions regarding the price of Stellar. The EFA (Economic Forecasting Agency) predicts that XLM will reach $0.95 at the end of 2020. Our Stellar price prediction for 2019 can be found in our ‘Top 10 Cryptocurrencies: Price Predictions for 2019’ article. This article does not aim to offer any financial advice, so this is a problematic question to answer. While there are no guarantees on the success or failure of a cryptocurrency, Stellar remains one of the most capable cryptocurrencies, having a great team and an altruistic goal, instead of just a monetary one. While it does not enjoy as many partners as Ripple, for example, it is right up there with the most used cryptocurrencies at the moment, and the news regarding it are mostly positive. Can You Mine Lumens (XLM)? No, Lumens cannot be mined, but it uses a consensus protocol. As for its distribution, it follows the steps stated above and is given out in periodic giveaways by the team. Despite sharing numerous similarities, there are significant differences between Stellar and Ripple. The biggest ones lie with their targeted audiences and company goals. Ripple aims to unite financial institutions and banks in accepting XRP, while Stellar targets the everyday individuals. Furthermore, Stellar is a non-profit entity, with the altruistic goal of providing financial services to those deprived of them, while Ripple is focused on one of the most profitable industries in the world. The coins also share a number of similarities, centered on the fact that they both depend on a distributed ledger technology, contain private nodes and instead of mining have a consensus protocol. However, XRP’s protocol is based on majority voting in order to enter the ledger (each transaction needs to be confirmed by 80% of the nodes), while Stellar operates in a different, more efficient manner, which allows nodes itself to become validators. In cases in which the transactions are between two different currencies, the Stellar network uses a Decentralized Exchange, which automatically searches for the best exchange rate in the market. This built-in exchange at the core of Stellar is one of the most potent features of the network since it can be used to trade literally anything which is held by anchors, including other cryptocurrencies. A live view of orders is available on the Stellar dashboard. 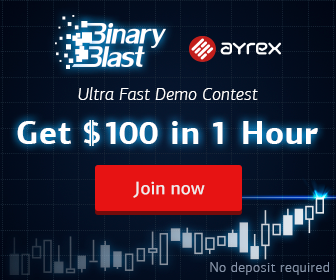 Think of the distributed exchange as a large pool of offers in the form of “I trade 100 euro for 85 dollars.” Any participant in the network can accept, cancel or make a new offer. In order to convert an order between XLM and a gateway’s local currency, there might be numerous conversions throughout. For example, a user could submit transactions which convert dollars to XLM, and then those XLM to euro. Ultimately, the user will have sent dollars, and the recipient received euros; thus the two exchange orders will be fulfilled. Stellar saw Initial Coin Offerings on its platform raise over 1.3 billion in the 8 months during January- August 2017. Built-in decentralized exchange: Stellar has its own integrated decentralized exchange. This means that all the tokens that are created on the platform can instantaneously be bought and sold on the decentralized exchange. Therefore, the user is not required to rely on an independent third-party exchange in order to list them on the market. Greater security: The Stellar model operates with multi-operation transactions, which in turn limit uncertainty and are less susceptible to harm the exploitation of program weaknesses. Furthermore, in the event that a misuse occurs, Stellar allows users to have their tokens frozen. Finally, it is equipped with a security feature that an individual will have the ability to pick tokens that can validate transactions selectively. Create custom ICOs: Stellar enables a high range of customization for ICOs and provides constructs such as payments, tokens, and accounts. Using Stellar leads to faster development time since it contains built-in features, like token creation and whitelisting. Therefore, the platform would be especially effective for establishments whose requirements including having to know your customer. Fast and low cost: Stellar has only an insignificant transaction fee (.00001 XLM), unlike Ethereum, which has become progressively expensive at higher valuations. Furthermore, the Stellar is much faster than Ethereum, its median transaction time being far smaller; 5 seconds to 3.5 minutes respectively. Originally Stellar received a $3M donation from Stripe, the Silicon Valley giant, which was given two billion XLM in exchange. Furthermore, it has reached partnerships with IBM and KlickEx, while Deloitte, Tempo, and Parkway Projects have begun to build services on the network. Additionally, Stellar is predominantly useful in the South Pacific, where it is responsible for close to 60% of cross-border payments in the retail exchange corridor. With help from IBM, it aims to bring banking infrastructure to remote parts of the globe which cannot access common financial services. The reasons for choosing this part of the world were because it was outside of any major trading corridors, and it includes a mixture of mature and developing economies, from Australia to Maewo. While the initiative is in the commencement phase, it may develop more outside of this area once it gets past this stage. Stellar has 13 team members, 3 board members, and 9 advisors currently listed on their website. Stellar is also hiring for those interested in a career at Stellar. More information can be found in the job section at the bottom of this guide. The Stellar Platform was founded by Jed McCaleb and Joyce Kim. It was the invention of Jed McCaleb, who was one of the co-founders of Ripple and a part of the initial Mt.Gox team. On the other hand, Joyce Kim previously worked as a venture capitalist and was an entrepreneur. There is a worthy team in place at Stellar which include venture capitalists, entrepreneurs, and developers. The chief scientist of the company is David Mazieres, a computer science professor at Stanford University. He was the chief brain in creating the Stellar consensus protocol. Other names include Patrick Collison (CEO of Stripe) – Sam Altman (Y Combinator president) – Naval Ravikant (CEO of AngelList) and Shivani Siroya (CEO of InVenture). In 2014, Jed McCaleb launched the network system Stellar with former lawyer Joyce Kim, and the nonprofit “Stellar Development Foundation” was created in partnership with Stripe officially launching in July 2014. Patrick Collison (Stripe CEO) and McCaleb were in agreement that they had to establish a non-profit foundation which was separate from Stellar. The cryptocurrency, initially known as Stellar, was later renamed to Lumens or XLM. By 2015, Stellar had roughly 3 million registered user accounts on its platform and XLM’s market cap was almost $15 million. Its for-profit entity, Lightyear.io, launched in May 2017 to act as the commercial side of the company. Lightyear has now joined forces with Chain.com to become Interstellar. In 2017, Stellar announced its benefits program, which awarded partners up to $2 million worth of XLM for the development of projects. In September 2018, Lightyear Corporation attained Chain, and the mutual company was called Interstellar. Stellar had two main goals in its roadmap for 2018. The first was building a front-end for the Stellar Decentralized Exchange (SDEX). SDEX will enable on-chain and protocol-level exchanges for every Stellar token, and create liquidity in order to maximize asset choice and minimize spreads. The second was implementing the Lightning Network on Stellar, which will increase the efficiency of private transactions having an enormously positive effect on Stellar’s long-term security and scalability. Stellar’s 2019 roadmap has just been released. Horizon – “A client-facing API server for the Stellar ecosystem.” – Goals for 2019 include bringing Horizon SDKs to parity, creating a technical spec for Core/Horizon API, and more. Stellar Core – “The software that nodes on the network use to achieve consensus and validate transactions.” – Goals include improving decentralization while preserving performance and making node management easier and faster. Product – “Everything from the brand and messaging for Stellar to building SDKs for Stellar-based apps.” – Goals include redesigning Stellar.org, publishing more content, making better tools, creating an open-source wallet, improving Kelp, and working on Starlight. Ecosystem – “Stellar’s social and developer communities are among the most active in fintech.” – Goals include increasing marketplace and community presence, intergrating more community feedback, and collaborating with ecosystem projects. Organization – Goals include hiring more good people and increasing clarity around SDF’s lumen holdings and distribution plans. Stellar has two main incentives programs, namely the Partnership Grant Program, and the Build Challenge. In order to incentivize and reward partners, Stellar awards a select group of them significant Lumen (XLM) grants (up to $2,000,000 worth) in order to ensure that they will be co-beneficiaries during the growth of the network. The grant goes through two phases: Allocation and Award. When an organization is selected, the amount of the grant is put in an escrow. This is the allocation phase. The grant is subject to several milestones. When these are reached, the allotted amount will be given to the organization. This is the award phase. In order to encourage the development of the Stellar ecosystem, the Stellar foundation has allotted 25 billion XLM to this program. The Stellar Build Challenge was a program which aimed to reward development and innovation in the Stellar ecosystem. It awarded funds to individuals who contributed to open-source projects. The four topics that were in demand were an improvement of the Quorum Explorer, a trade bot, Peer to peer wallet and social trading. However, the Stellar Build Challenge ended on August 15, 2018, and is no longer accepting entries. Stellar has an active global community that openly invites others to join them on their mission to expand access to financial services for the billions of unbanked people around the world. In order to further Stellars mission, the company helps organize meetups and provides guidelines on their website on how to do one. Organizers need to specify the content they are going to discuss, handle the logistics and the communications of the meetup. Stellar gives funding for events you host and asks organizers to use the official Stellar branding. Stellar has a list jobs available on their website which includes opportunities in design, engineering, marketing, operations, partnerships, and recruitment. Jobs can be applied for online and filtered by city, team, and work type. To conclude, Stellar is a stimulating project which has attracted significant interest throughout the crypto sphere. Even though it faces serious competition, it has extensive use cases and offers numerous remarkable features. More specifically, its working partnership with IBM and its rising number of partners around the world could lead to a positive future outlook. Stellar has massive potential to make wholesale changes to the financial sector. Their bottom-up approach combined with the low fees makes it a force to be reckoned with in the cross-border money transfer sector. For example, working individuals spend close to $44 billion on transaction fees through current traditional systems. This can produce an uneven impact on the underprivileged. Through Stellar, these unnecessary costs can be eradicated. Specifically, the ultimate success of the platform will inevitably depend on mass adoption by both financial institutions and the masses. In case it succeeds, it is likely to transform the industry of cash transfers. 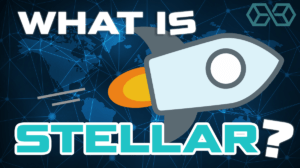 What Is Stellar Lumens (XLM)? 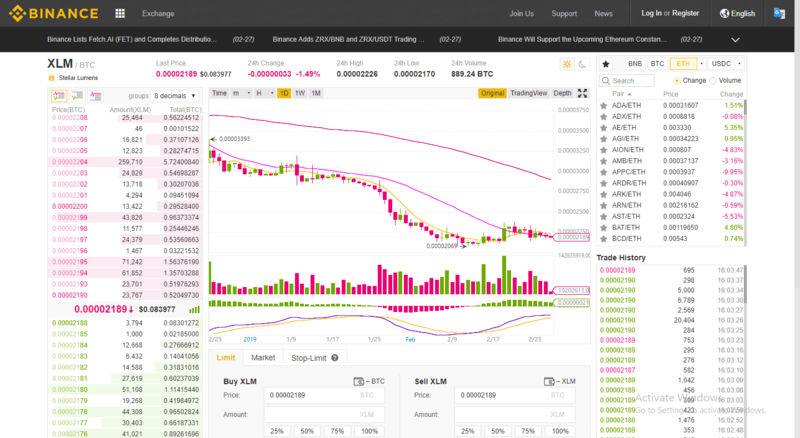 New AMAZING Guide to Stellar Coin for 2019 was originally found on copy trading cryptocurrency | Blockchain News | Bitcoin News | blokt.com.